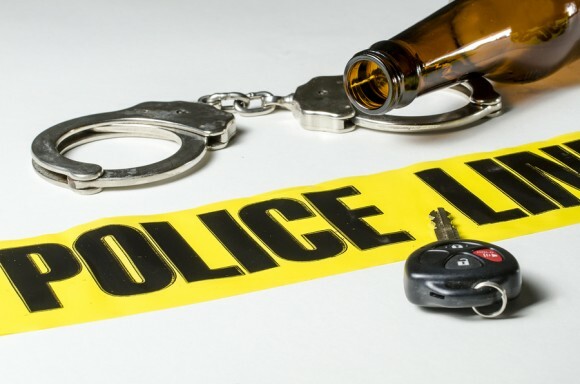 Kansas DUI laws are known for being one of the harshest in the country, and for good reason. According to the National Highway Traffic Safety Administration, U.S. drunk-driving deaths totaled 10,265 in 2015, up 3.2 percent from 2014. The tally represents a marked decrease from 1982, when such fatalities totaled 25,000. Even so, 28 Americans die in alcohol-related accidents each day. States differ in efforts to curb these events, with Kansas’ penalties among the most severe. Below is an overview of the state’s laws on driving under the influence (DUI), which culminate in a permanent revocation of motoring privileges. According to the Kansas Department of Transportation, 141 of the state’s 385 traffic deaths in 2014 involved alcohol. The majority of the state definitions and laws to combat drunk driving, outlined here, were enacted in 1996. Blood alcohol concentration, or BAC, reflects the level of alcohol in a bloodstream. A BAC of 0.08 means that .08 percent alcohol is concentrated in the blood. Kansas DUI laws assert it is illegal for anyone 21 years of age or older to drive in the state with a BAC of 0.08 percent or higher. A finding of more than 0.02 percent is past the legal limit if the driver is under 21. For commercial drivers, the limit is under 0.04 percent. Kansas DUI laws allow police to administer three field tests – an eye test to determine the steadiness of the gaze, a balance test involving standing on one leg and a test to see how efficiently the driver walks and turns. The driver might be asked to take a preliminary breath test, followed by a Breathalyzer test. Yes. Until February of 2016, Kansas DUI laws said that motorists who declined the tests could be criminally prosecuted for that refusal (see below). Legally, nothing. In February of 2016, a Kansas law allowing authorities to charge a motorist who refused breath or blood tests was found unconstitutional. The state’s Supreme Court ruled that the law, which said anyone operating a motor vehicle in the state has given implied consent to testing, violates the driver’s Fourth Amendment right against unreasonable search and seizure. No. Wet reckless is a plea bargain tool to explain reckless driving involving alcohol and carries less harsh penalties than a conventional DUI. Kansas is one of more than 12 states that prohibits this claim. Below are descriptions of penalties for the state’s five levels of DUI offenses, originally found in the current governing document. As shown, all Kansas DUI laws give the court the power to impound the offender’s car for up to one year. A first offense under Kansas DUI laws means 48 hours’ imprisonment or 100 hours of community service. The offender will also be fined $500 to $1,000 and court costs along with evaluation and probation fees, and he or she must complete a court-ordered alcohol and drug education program and/or treatment program. The offender’s driving rights will be suspended for 30 days and then restricted for 330 days. A second offense will result in imprisonment for 90 days to one year, and the driver will be fined $1,000 to $1,500 plus court costs and evaluation and probation fees. He or she must complete a court-ordered alcohol and drug abuse treatment program. Driving privileges will be suspended for one year; the driver is then restricted to drive a vehicle with an ignition interlock device for one year. These devices prevent the vehicle from starting if illegal levels of alcohol are detected during a breath test. On a third offense, the offender will be charged with a felony and imprisoned for 90 days to one year. He or she will be fined $1,500 to $2,500 plus court costs and evaluation and probation fees. He or she must complete a court-ordered alcohol and drug abuse treatment program. Driving privileges will be suspended for one year, after which the offender is restricted to driving a vehicle with an ignition interlock device for one year. These devices prevent the vehicle from starting if illegal levels of alcohol are detected during a breath test. With a fourth offense, the offender will be charged with a felony and imprisoned for 90 days to one year. He or she will be fined $2,500 plus court costs and evaluation and probation fees. He or she must complete a court-ordered alcohol and drug abuse treatment program. Driving privileges will be suspended for one year, after which the offender is restricted to driving a vehicle with an ignition interlock device. These devices prevent the vehicle from starting if illegal levels of alcohol are detected during a breath test. Following the incarceration, the offender will be placed in Kansas Department of Corrections custody on a one year’s supervision. A fifth offense results in a felony charge, imprisonment for 90 days to one year and a fine of $2,500 plus court costs and evaluation and probation fees. Driving privileges will be revoked. Following the incarceration, the offender will be placed in Kansas Department of Corrections custody on a one year’s supervision. Kansas DUI laws translate as some of the nation’s harshest (only Arizona, Georgia, Alaska, Oklahoma and Nebraska carry tougher sanctions). While they may seem overly punitive, they’re also designed to speak for a defenseless public faced with potentially lethal consequences from the use of what amounts to a weapon. Hey Buddy!, I found this information for you: "Kansas DUI Laws – A Comprehensive Review". Here is the website link: https://www.duiauthority.com/kansas-dui-laws/. Thank you.